Lead time represents the calculation of the story since it has been created till the time it will be completed. Whereas, the cycle time represents the calculation of a story since it has been taken on Kanban Board for execution till its completion. In a simple terms lead time clock starts when story is created and ends when story is completed, whereas cycle time clock starts only when the story is taken into development (When actual work begins) and ends when story is completed. 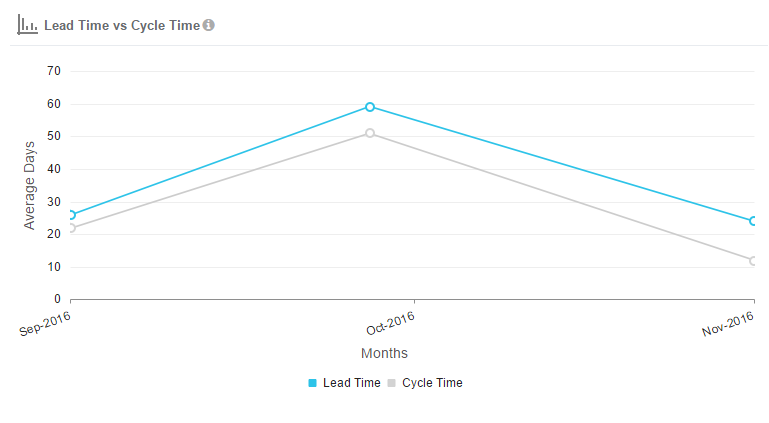 The Lead Time V/S Cycle Time calculates the average days of a story that has been developed using Kanban Board.